1224 Sweeping Oaks Drive St Charles, MO. 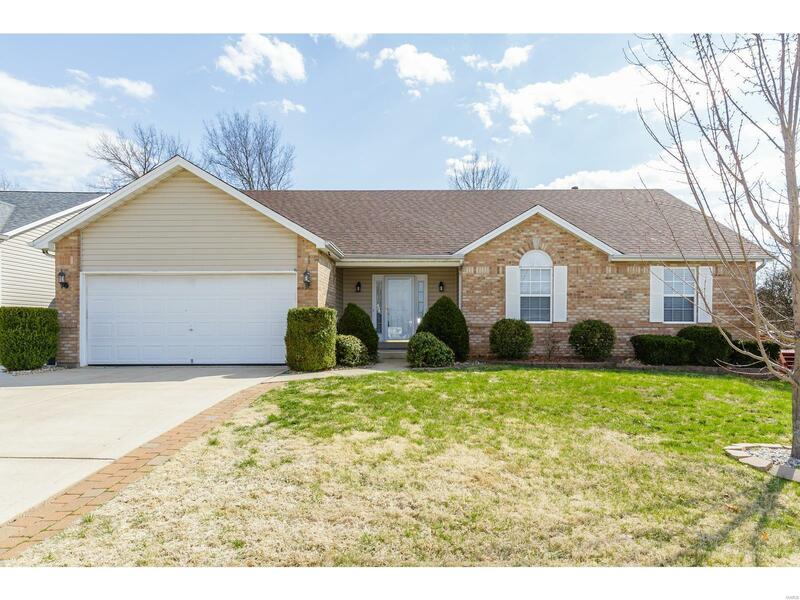 | MLS# 19017154 | Homes for Sale in St Charles, St Louis, Lincoln and Warren Counties! Looking for a Free Foreclosure List? Call Cheri Peterson 314-283-7251 Our Team is on the Leading Edge when it comes to Technology! Rave Reviews are coming from this HOME! EXPECT to be WOWED! Refreshing POOL! w/Newer Liner 2017, Newer Roof w/Architectural Shingles. Enclosed Soffits & Fascia.High Efficiency Furnace (96%) & A/C 2018. 6” Baseboards,Vaulted GR w/Exposed Beam; Hardwood Floors, Fireplace, Kitchen Features Dishwasher 2017; 18” Floor Tiles,Granite Countertops; Tiled Backsplash; Breakfast Bar, W/O to a 2 Tier Deck 24X12 & 23X10 w/Outdoor Dry Bar on the 32X10 Patio. Wet Bar W/Stone Accents & Frig. MFL, Powder Rm & Hall Bath w/Tiled Floors & Half way up the Walls, Luxury Master Suite w/Wood Floors, Corner Jetted Tub; Tiled Floor & Half way up the Walls w/Backsplash Details, Crown molding w/Cove Lighting ALL Main Floor BR's, BR 4 has Built-in Workstation,BR 5 w/Walk In Cedar Closet, Full bath w/Tile Path from Sliding door to the Full Bath, Fitness Space w/Storage Cabinets & Granite Countertop, Storage Rm w/Built-In Shelves, Garage w/Workbench & Overhead Shelves, Wired for Exterior Speakers. Hurry! Wont' Last!